work towards greater effectiveness and efficiency at NESAS. Griffiths will assume Managing Director responsibilities from Koen Maes, who will maintain his current role as Vice-President, customer and retail experience, Europe. Griffiths, who currently serves as Vice-President, Human Resources & Chief Security Officer for AMIE, will retain his responsibilities as Chief Security Officer - AMIE. 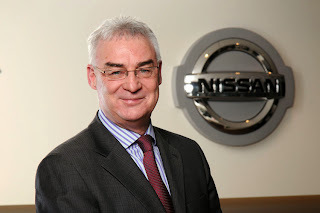 In addition he will be come become responsible for global labour relations, reporting to Greg Kelly, Senior Vice-President - CEO office, at Nissan's global headquarters in Yokohama. Griffiths will be based at Nissan's European offices in Montigny-le-Bretonneux, France. The change is effective January 1, 2014.